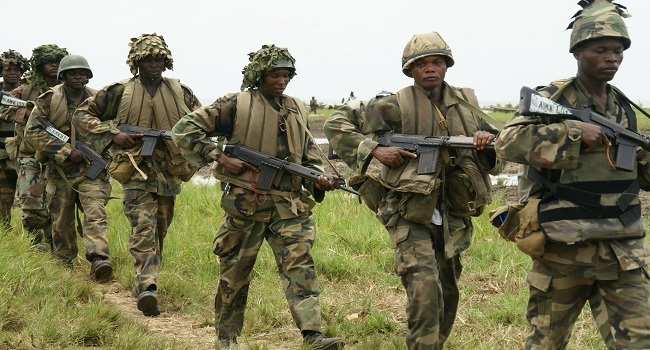 It is now mandatory for all officers and soldiers in the Nigerian Army to understand the 3 major languages in the country that is Igbo, Hausa, and Yoruba, Premium Times reports. The Army announced the policy change on Wednesday morning, asking that all its personnel be proficient in the 3 languages by December 2018. The army spokesperson, Brig.-Gen. Sani Usman, made the announcement adding that it will be an added advantage of applicants if they already are proficient in the languages. The new policy will ensure better communication with the populace, Usman said and will enhance information gathering. 2. It is to be noted that English remains the official language in the Nigerian Army. Yoruba, Igbo and Hausa languages could be used during Civil Military Cooperation (CIMIC) activities or interrogation. Therefore all Army personnel have been given one year to learn the three major Nigerian languages. Invariably, by December 2018, all Nigerian Army personnel are expected to learn the three major Nigerian languages. The standard of proficiency to be attained is the basic level. Certificated proficiency level will attract Language Allowance.